Hiker overlooking mountain range, Whistler Mountain, Whistler, British Columbia, Canada, North America. 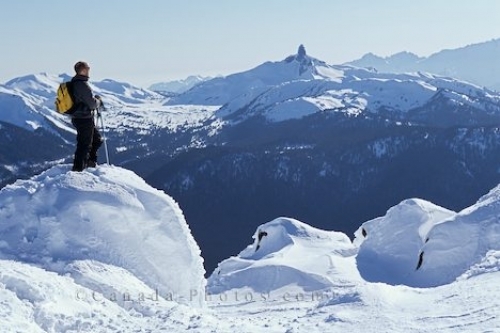 North America, Canada, British Columbia, Whistler, Whistler Mountain, winter, hiker overlooking mountain range. Model Released.